Let’s face it. It gets HOT during a Florida summer! All across the south electric bills easily double and triple during the summer months due to the modern miracle of air conditioning. Most of us are amazed that our ancestors even put up with the summer heat without it! But rather than paying hundred or thousands of extra dollars each year to keep your house cool why not try the one time expense of insulating? Attics, walls, crawl spaces, new construction, or old, there is an insulation that will work for your house. In the “old” days fuel was cheap- cheaper than the materials we use to insulate and so most houses were either left with no insulation or left with odds and ends stuffed in the walls by the “greenies” of the 1920’s and 30’s. (Way ahead of their time for sure!) Materials like sheep’s wool, newspapers, sawdust (fire hazard anyone? ), straw, and even corn cobs on occasion! Today, we have many more effective choices to keep the heat out in the summer and in in the winter. 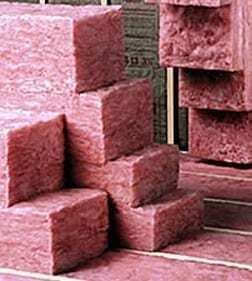 There are numerous forms of insulation and even more brands on the market today. Below is a run down of just a few of the most popular. Remember the higher the R-value the greater the insulation provided. But keep in mind that R-value is about as exact of a science as gas mileage on a car. Proper installation can make a big difference here! Cellulose is the oldest building insulation. Many types of cellulosic materials have been used, including newspaper, cardboard, cotton, straw, sawdust, hemp and corncob. 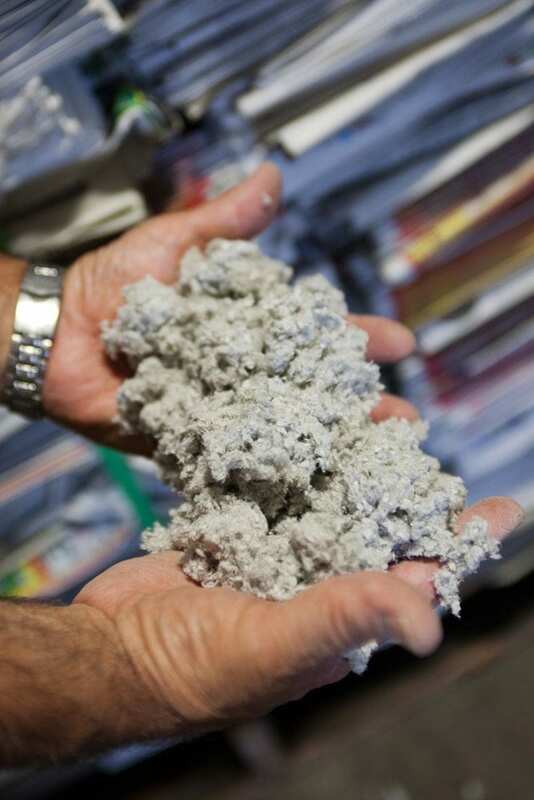 Modern cellulose insulation, made with recycled newspaper using grinding and dust removing machines and adding a fire retardant, began in the 1950s and came into general use in the US during the 1970s. Cellulose is usually blown in as loose fill in attic floors and can used use very effectively to retrofit the walls of old homes by removing a clapboard and filling the voids inside the wall. An example of this today is a product called Green Fiber; it is available at your local hardware store. In 1938, the first fiberglass insulation was produced. It was invented by the Owens Corning Company, which is the world’s number one producer of fiberglass to this day. Fiberglass insulation is made from tightly-woven glass fibers. It’s usually sold in large rolls known as blankets or batts, thought it is also available as loose fill, and is the most widely used type of insulation in the U.S. The only negative is the itchy feeling from working with the stuff and the need to wear a dust mask and cover your skin. To learn more visit Owens Corning. Fiberglass insulation is also available at your local hardware store. Whoever thought of using old, ground up blue jeans as insulation was a pretty clever person because today it’s a small, but growing, segment of the insulation market. 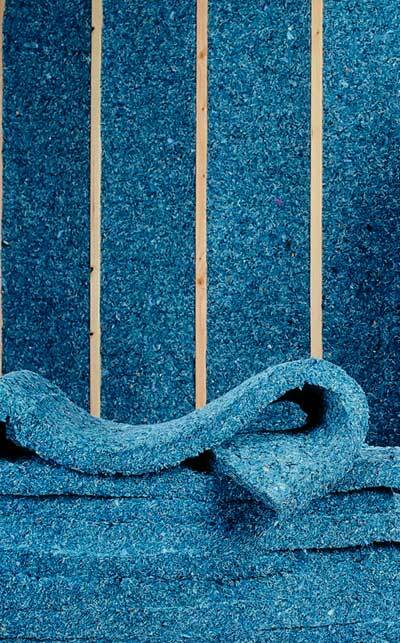 Denim insulation works just like fiberglass and is sold in the same forms. The benefit? It’s ALL recycled and good for the environment. Plus, no itching later on! It boasts a slightly higher R-value than fiberglass as well. Visit Bonded Logic, the #1 producer of the stuff, for more information. The down side is that this is available only through distributors and is a little harder to find, plus a bit more expensive than cellulose and fiberglass. In our opinion, this is the best form of insulation for air-leakage and tightening up a building envelope. As little as 1” of closed-cell spray foam will stop air and water penetration and provide an R-value of ~7! All of the other forms of insulation mentioned merely slow down the transfer of heat but do very little to actually stop the exchange of air and moisture in a home, which can be a major concern. Closed-cell and open-cell differ in that open-cell foam has cells that are, well, open. They allow air inside each foam cell and expand to a much greater size than closed-cell. Closed-cell has foam cells that remain closed and therefore allow less heat transfer thru the air. There are many types of spray foams for all kind of applications. Some even have properties that strengthen the deck of a roof against wind stresses! The down side is that it requires professional installation and cost much more than other forms. 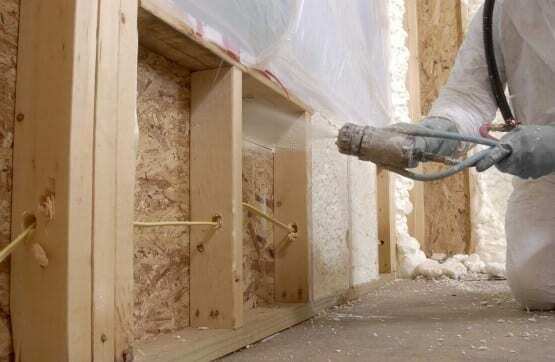 You can certainly combine forms to get the right mix for your home and your wallet- for example, 1” of closed-cell foam underneath with 4” of fiberglass batts. Air leakage stopped and price tag lowered! Visit Icynene to learn more! Whichever kind of insulation you choose, you’ll be saving huge amounts on your energy bills! It is the simplest and least expense energy upgrade to make on your home and a wise investment because energy prices are headed only one direction these days. And it’s such a simple DIY task that most times you can knock it out in a weekend or two. It’s a one time deal to save loads of cash for years! So, do a little research and set aside some time to insulate your home and then forget about it and watch those energy cost stay low for decades to come. With the rising electric bills, having our home insulated is a very wise decision. The investment is definitely worth it! I have a house built pre-1960’s (it got a new porch and electricity in 1963 and it was not a new house then)in east central Alabama. We freeze in the winter and roast in the summer. Wiring is an unknown as for the attic. Any wiring after 1980 is run correctly as of that time. Walls & ceiling are old drywall. Heat with gas wall heater, cool with window units. We plan to eventually replace the ceilings and walls, but that will take a long time and lots of money both of which are limited. There is no insulation in the attic. It has a tin with a typical high roof (repairs are very scary). What would be the most economical way to address the temperature issues? I would start with insulating the attic as much as you can. The majority of energy loss happens there and it is usually the easiest and most effective place to start. Thanks. Which kind of insulation is the safest for this type of house in general? How do I handle the wiring? Just not cover it? It is a mix of old and new. Thank you again for your help. My home was built in the 40’s and I am afraid I am going to have to take down the walls and redo to get good insulation. It is freezing in my house all winter long and really hot in the summer. Is there a way to get good insulation in there with out having to rip out all my walls? You forgot Roxul mineral/rock wool – made from volcanic rock; beats the pants off everything you have on this list except Poly Spray and then some. Roxul batts will NOT hold moisture, will NOT rot, will NOT sag, will NOT burn. Think about that for a while. Johnny, I have only recently been learning more about Roxul and if I had written this post again today it would definitely have been included. I never realized that fiberglass is the most widely used insulation. I want to add spray foam to my home. I know the extra insulation will help with keeping my home temperate. Hopefully, the extra expense will be worth it. Good article. I am getting a st cloud insulation company to come to my house and get new insualtion in our home. I like knowing there are different kinds of insulation to talk about. The weather patterns in Paducah, KY is usually okay, but we have had our share of major ice storms in the winter, and humid, hot weather in the summer. A homeowner can stay comfortable and save money on their heating bills by consulting with a good home restoration company and hvac contractor. Make sure your house is well insulated, and have your air ducts inspected for leaks. Otherwise, you might be paying a high heating bill this winter to warm up your crawl space. That is interesting. Here in Canada we insulate for exactly the opposite reason! Well and it does get hot as well. Oh I’m sure it gets quite a bit colder than here in Florida! Either way you gotta stay comfortable, right?